The best, longest-lasting toys are the ones that only need imagination to power them. Kids don’t want to follow instructions or to be constrained by rules. They just want materials interesting enough to inspire, and simple enough that they don’t get in the way. That’s why the humble building block will always be one of my favourite toys. 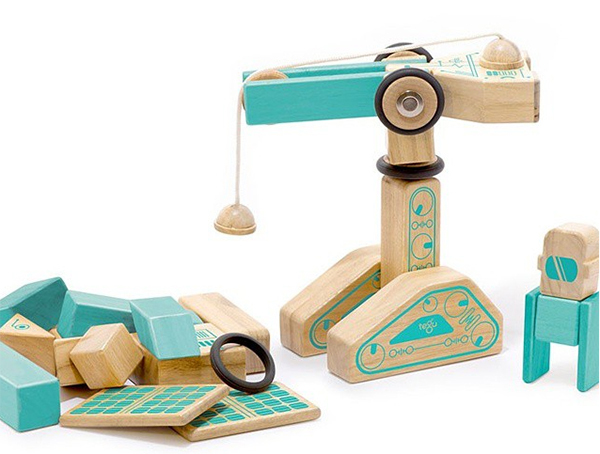 Toy designers are forever looking for ways to improve the simple design, and magnetic wooden block makers, Tegu, have done an exceptional job with their new, award-winning Future collection. Our love affair with Tegu began a few years ago, and our feelings haven’t changed. The blocks are educational, teaching kids about magnets, fractions and scale, and they’re ethically produced in their Honduras factory where workers receive a fair living wage and are encouraged to progress in their careers. All this added to the fact that they’re incredibly fun to play with, and you’ve got a classic toy with staying power. The Future collection is beautifully crafted with turquoise pieces and designs punctuating the signature natural wood. 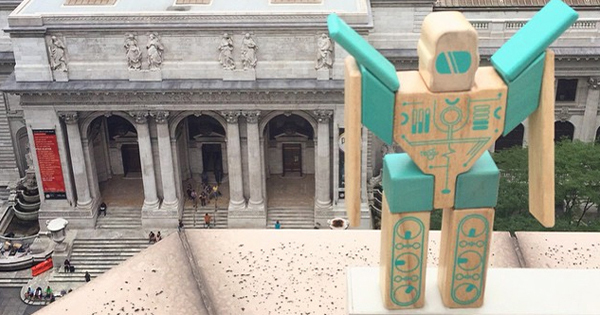 Unlike with its classic sets, Tegu has created a few characters for the Future collection. Meet Magbot (US$130), a robot that can transform into a car, helicopter, or pretty much anything little creators want. For something with a few more pieces, there’s Magnetron (US$100), another robot character who can be transformed into a car with a charging station, a hovercraft robot, or a space laser. With 32 pieces, the possibilities are endless. 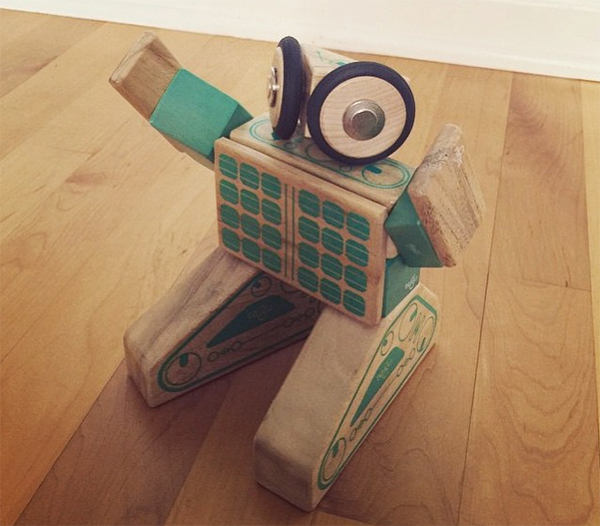 Tegu blocks give kids the tools to unleash their creativity and practice skills they’ll use in the future. Inside each block is hidden the power to dream about that future. There’s also a magnet inside, but how it gets there is classified. We think it involves aliens and government conspiracy. 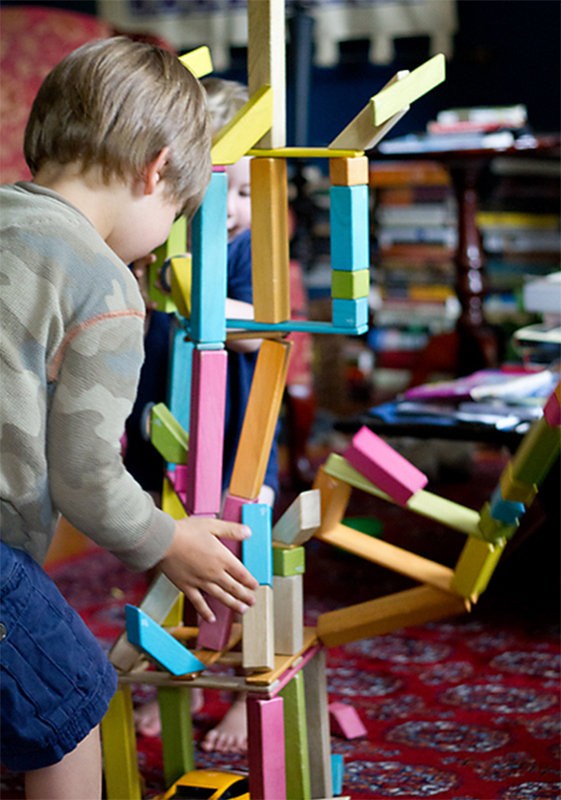 You can buy blocks directly from Tegu, but shipping to Australia is steep. In Australia, you can find them at Fishpond and Good to Play.